Q: What is the difference between a pod and a cup? A: Pods (also known as soft pods) are small coffee disks. 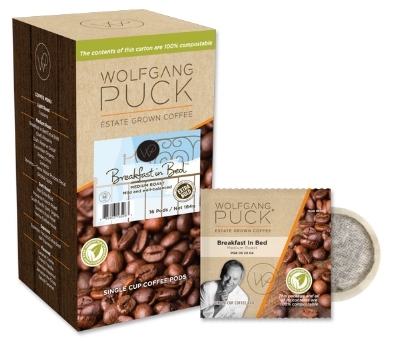 A compostable filter material keeps the perfectly portioned amount of ground coffee contained in a puck shape, similar to an espresso puck. When brewed, pressurized water is forced over the disk, extracting the coffee through the filter and into your cup. Cups (like k-cups, k-cup pods, RealCups, or capsules) are small, sealed plastic cups with ground coffee and a filter inside. When brewed, the machine pokes a hole in the top and bottom of the cup, allowing water to enter the top, saturate the grounds, then flow through the filter and out the hole in the bottom of the cup. Q: What is the difference between a K-Cup and a RealCup? 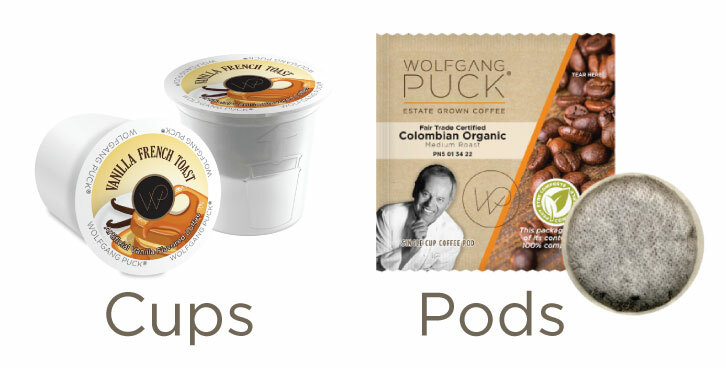 A: Now that we've distinguished pods and cups, let's look at the difference between k-cups and RealCups. You can tell them apart most easily by the color of the plastic cups. RealCups use a clear plastic, allowing you to see the coffee and filter. K-cups use a white plastic. The RealCup is a small recyclable plastic cup that is very similar to a K-Cup, but with a few signifigant advantages. RealCups can be used in all Keurig brewers, including the Keurig 2.0. Unlike standard k-cups, the RealCup uses an innovative new filter that preserves the flavor and body of the coffee. That means you'll be getting all that you can out of your coffee, with a drink consistency similar to brewing in a french press. After brewing, the cup can be separated from the lid and grounds by the pull tab. The grounds can then be composted, while the cup is recyclable, and the lid goes in the trash. Without this option, traditional k-cups end up landfills, rather than being recycled. Q: Tell me more about those soft pods! A: Glad you asked! Soft pods are a super simple and effective option for brewing a single cup of coffee. Each disk is individually packaged and sealed to keep the coffee as fresh as possible. Our soft pods, along with all of the packaging, are 100% compostable, meaning absolutely zero waste! After brewing, the pod and package can be discarded directly into your compost bin, where they will decompose and become a part of your nutrient rich compost mixture. Ready to try them out for yourself?